Professional athletes typically suffer more injuries than the average person, primarily because they subject their bodies to more rigorous activities. Fortunately, they are often able to return to the field after recovering from the injury or a related surgery. Sports medicine has come a long way over the years and trainers are now able to get athletes back in the game faster than ever before. They use many of the same recovery techniques that are available to everybody else, but they also employ a few tricks to help accelerate healing. The ACL surgery recovery techniques that athletes use are no secret. You can take advantage of the same knowledge and technology that they do to get back on your feet faster. 1. Start early - If you know you will need ACL surgery, takes steps beforehand to make the process go as smoothly as possible. Immediately after an ACL injury, it is important to retain range of motion in the knee through low-impact exercises such as stationary cycling. It is also critical to control swelling before you have ACL surgery. Your injured tissues will respond with inflammation, which is not only uncomfortable but also impedes the healing process. 2. Be proactive after surgery - In the several weeks immediately following ACL surgery, professional athletic trainers focus on reducing swelling, reducing the amount of heat generated in and around the injury, and increasing range of motion. Cryotherapy is a critical part of the initial recovery phase, both for controlling swelling and removing heat from the injury. The pros use specialized systems that are designed to provide consistent cold that actively draws heat away from the body for deeper penetration and longer lasting benefits. A regular physical therapy program also helps increase range of motion, flexibility, and strength. 3. Be smart about returning to activity - Although you should do rehabilitative exercises from the day of the surgery and throughout the recovery process, it is important not to introduce too much activity too soon. One of the reasons the pros are able to get back in the game faster is because they have a very controlled recovery that eases them back up to their prior activity level without risking re-injury. Talk to your physical therapist about how you can do the same. One of the systems that the pros use is Game Ready for active cold and compression therapy. Employing this technology both before and after surgery can help accelerate the healing process. 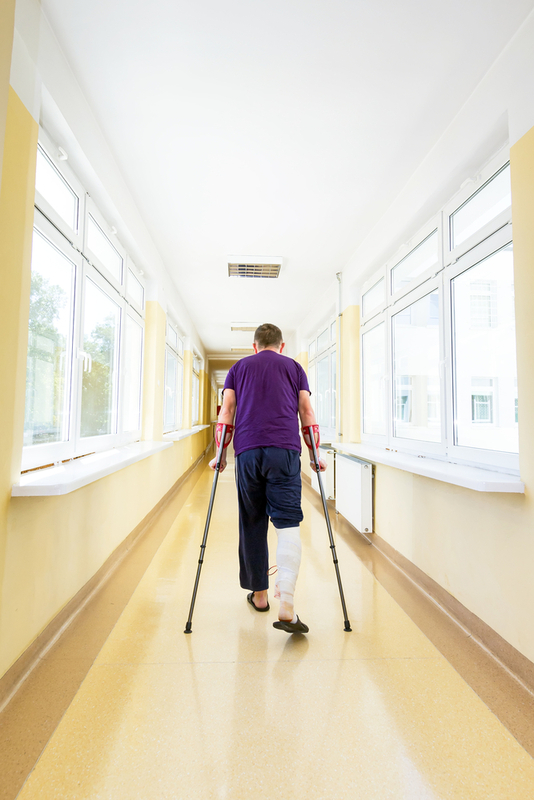 In combination with a controlled physical rehabilitation plan, you will get back on your feet faster. Look for a provider near you to learn more.